This week is PlayStreets Week 2018, bringing together dozens of community groups to host more than a dozen events to encourage children and their families to get out and play – focusing special attention on neighborhoods with limited resources. 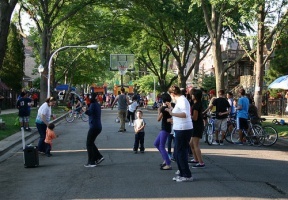 PlayStreets Week provides neighborhoods the chance to create community-level fun and fitness in a concentrated period of time. 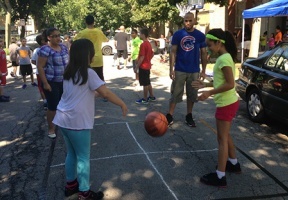 CDPH and its partners Gads Hill and World Sport Chicago are working closely this summer with 26 neighborhood-based community groups so that the activities that are planned for the children in specific communities are tailor-made to their liking. Communities hosting events this summer include Auburn Gresham, Austin, Belmont Cragin, Brighton Park, Chicago Lawn, Douglas, Edgewater, Englewood, Fuller Park, Gage Park, Garfield Park, Grand Boulevard, Humboldt Park, Kenwood, Logan Square, North Lawndale, Oakland, Rogers Park, South Chicago, South Lawndale, South Shore, Uptown, West Englewood, West Garfield Park and Woodlawn. For further details about the PlayStreets Program, including the calendar of events go to www.playstreets.org. For more information on CDPH and Healthy Chicago 2.0, visit www.CityofChicago.org/HEALTH.